Image from the collection of Rae Millman, student at the Bryn Mawr Summer School for Women Workers in Industry ca. 1925. 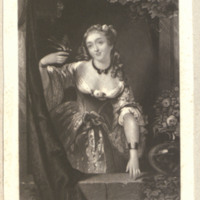 Photograph of woman holding a small cup. 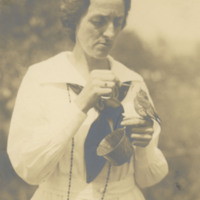 A small bird is perched on her hand, and with a pair of tweezers she feeds the bird a worm.